Estate Planning - Law Offices of George W. Klein & Assoc. If you have property and/or dependants, you should have a Will prepared to make certain there are no misunderstandings about how you want your property distributed, or how you want your dependants to be cared for. As part of the instructions you provide in the Will, is the naming of an Executor who you wish to carry out the instructions with regard to the distribution of your estate. Also included are matters dealing with your wishes with regard to the specifics of distribution of your estate. The Law Office of George W. Klein will take the time to review with you your particular needs and discuss the nature of your current assets, as well as help you plan for any future assets that you may come to possess, and develop a plan that makes sense and is appropriate for you. In most instances, a Will with a Power of Attorney and a Healthcare Proxy will complete your estate planning requirements. However, there are certain situations which require special provisions to be included in the Will with regard to special circumstances, including the need to care for any disabled family members. 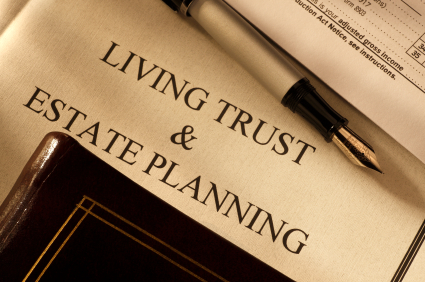 Additionally, depending on the size of the Estate, there may be certain Trusts that can be utilized to reduce the size of possible estate taxes. As noted below, there are certain circumstances where a Revocable Trust, or a Living Trust, may be appropriate. The Law Offices of George W. Klein have experienced many situations where clients absorb unnecessary losses to the estate of their loved ones as a consequence of estate taxes, lengthy probate costs and possibly damaging Will contests. Much of these difficulties can be avoided with the careful use of an appropriate trust. If you have a trust, you can generally avoid probate. By putting your assets in a Trust and appointing a Trustee to manage them, these assets are secured and can be distributed quickly and to only those individuals that you have intended and designated. Each person and each family has their own particular set of circumstances and has their own goals in mind. Accordingly, we will take the time to thoroughly discuss the costs and benefits of setting up a Trust, including Irrevocable Trusts or Revocable Trusts, also known as New York Living Trust. Whether you may require just a simple Will or if you will benefit from a Revocable Trust, or a Medicaid Trust, we will take the time to sit down with you and review and make certain that your assets are appropriately protected. Whether you have a Will or a Trust, it is generally advisable to prepare for the possibility that one may become incapacitated, either mentally or physically and would be unable to manage one’s financial affairs. In order for others to be able to manage your finances, unless you plan for such incapacity, your family must petition a court to declare you legally incompetent and obtain a guardianship for you. This process is lengthy, costly and stressful and is not necessary if you properly plan. Among the means of planning for any such incapacity, is a preparation of a Durable Power of Attorney and a Healthcare Proxy (also referred to as a “Living Will”). With a Durable Power of Attorney, you can designate who may act on your behalf in the event you become incapacitated and also indicate in what areas such person can and is not necessary if you properly plan. Among the means of planning for any such incapacity, is a preparation of a Durable Power of Attorney and a Healthcare Proxy (also referred to as a “Living Will”). With a Durable Power of Attorney, you can designate who may act on your behalf in the event you become incapacitated and also indicate in what areas such person can act. A Durable Power of Attorney is an extremely important instrument to have and should be part of your Estate Planning process. Similarly, a Healthcare Proxy is utilized with regard to making healthcare decisions on your behalf by a designated agent. In New York, any agent appointed under a Power of Attorney, whether Durable or otherwise, is not qualified to act on your behalf with regard to healthcare decisions and a specific Healthcare Proxy must be prepared. This should also be part of every individual’s Estate Planning documents. You can further adjust the Durable Power of Attorney to be triggered by either the decision of your doctor that you are incapacitated or through other means.